A good installation piece is one that grabs the viewer and does not let them go. This is the type of experience I had with/in Lee Bul’s “Via Negativa” at Lehmann Maupin’s Lower East Side space. 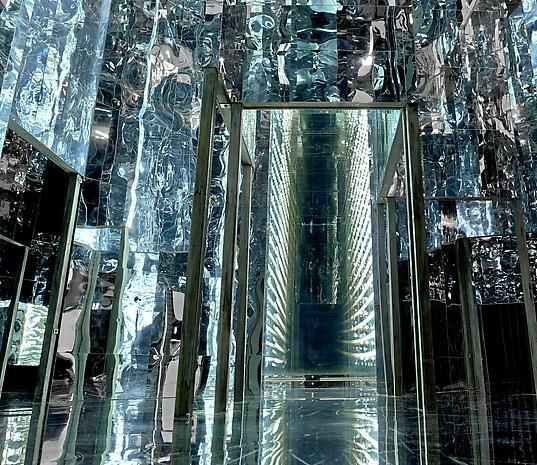 Upon walking into the room in which the giant mirror maze is located, the viewer is at once consumed by reflecting surfaces which include the floor. 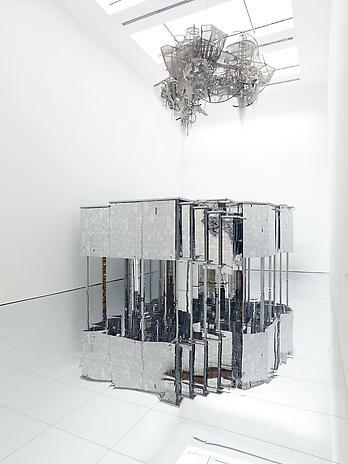 Once entering the piece itself it becomes a bit disorienting as all that can be seen are mirrors and ones own reflection. The purpose of the maze is to get to a tiny room in the center of the maze, this room is covered with light bulbs and mirrors and thus the reflection seems and feels infinite and truly magical.